Presentation Topic: How does a Resilient Visionary define repeated failure? 1. Is there value in failure? 2. Can changing your perception of something change the final outcome? 3. Whose fault is it anyway? 4. Are you ready to stop hitting the wall, over and over again? Audrey Addison Williams is an International Social Entrepreneur, an expert in both personal and community transformation. 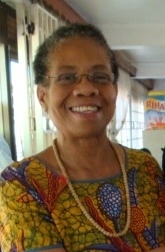 She is the Founder and Board Chairperson of African American Training Networks in Uganda. She is currently building a broad grassroots alliance that will establish branches of AATN in Kenya, Rwanda and Tanzania. Women and Power is a Global Grassroots Alliance that operates under the umbrella of African American Training Networks. She is also the Co Founder and Chief Visionary Officer of Healing Soul of America, Inc and International Grassroots Leadershift Institute in Santa Barbara, California. Audrey has achieved recognition as a bridge builder and has been successful in establishing networks, collaborations and partnerships that use a leadership model of co creation and shared leadership that move poor people from the margins into mainstream as productive, creative and visionary leaders. For the past fifteen years she has used her experience in banking and finance and business management skills to train and empower poor women, men who are recently released from prison, inner city youth, and immigrant populations. She is also a consultant for small business, NGO’s and churches in the area of capacity building, strategic planning, creative problem solving, organizational development and resource development. Her first book Moving from Pain to Power will be published in early 2012 and it chronicles her spiritual journey from addiction, depression, despair and perceived powerlessness to what she describes as the life she now enjoys as a fully awake, fully conscious, fully accountable and a fully alive human being. She uses her own struggles to move out of a vicious cycle that included domestic violence, repeated business and personal failures, and a pattern of destructive relationships to inspire and challenge women to move from powerlessness to self sufficiency and to live in full control of their individual lives. She also speaks honestly and with great passion about her journey to overcome cultural and religious beliefs that no longer served her. She is a teacher of metaphysical principles, an internationally recognized speaker and her most sought after lectures are in the area of Women and Power, It is Time for Africa to Rise, Healing the Soul of America , 12 Step Plan offering Recovery from Organized Religion and Re-Thinking Christianity She is most passionate about offering New Paradigm Leadershift training to youth of all races. Her lectures inspire and move people to take action that leads to positive change in their lives and in their communities. She lives between Santa Barbara, California and Kampala, Uganda, is mother to 2 adult children, has 5 grandchildren and is celebrating having recently found love at the age of 57, she plans to marry in November 2011. She says with conviction that each and every person has the power to create whatever life they want and have a duty to God, family and community to serve as leaders as we move humanity from a purely material worldview to a life lived from a very real and practiced understanding that we are spiritual beings in an abundant and loving universe and each and every moment is pregnant with infinite possibilities. She credits Kenneth Schwenker and the first Leaders Causing Leaders Conference in 2010 with inspiring her to become truly unstoppable.